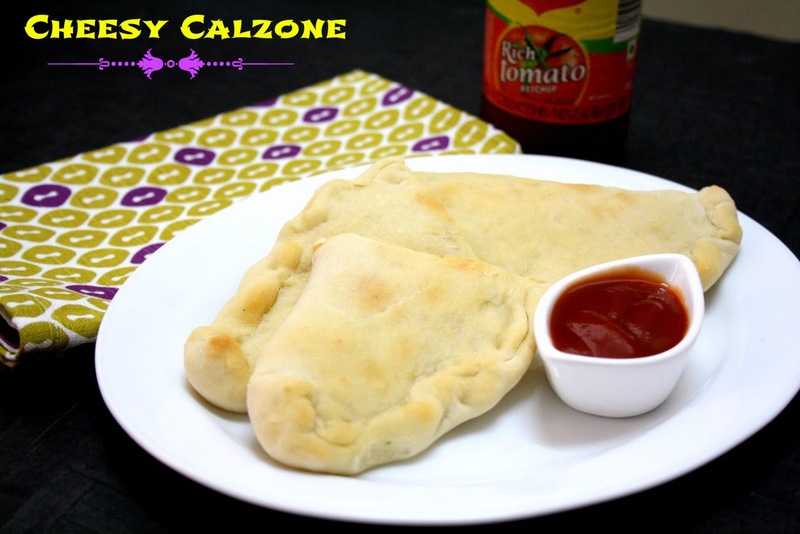 For the third day of Kids Delight – Snacking all way, I have a delicious Calzones that were such hit when I made for the kids. Konda’s friend had come home to spend the day with her and until the last moment I was clueless on what to make for them. They were going to spend the entire day and Konda had strictly said no for any regular Indian Food. Having known that I keep making new and different dishes, she said her friends are used to eating all that snacks she carries to school. So I almost spent a Sunday thinking what would interest the kids. I had decided to make the Eggless Savory Bread Pudding and then thought of couple of other dishes. I decided to bake some calzones for them. 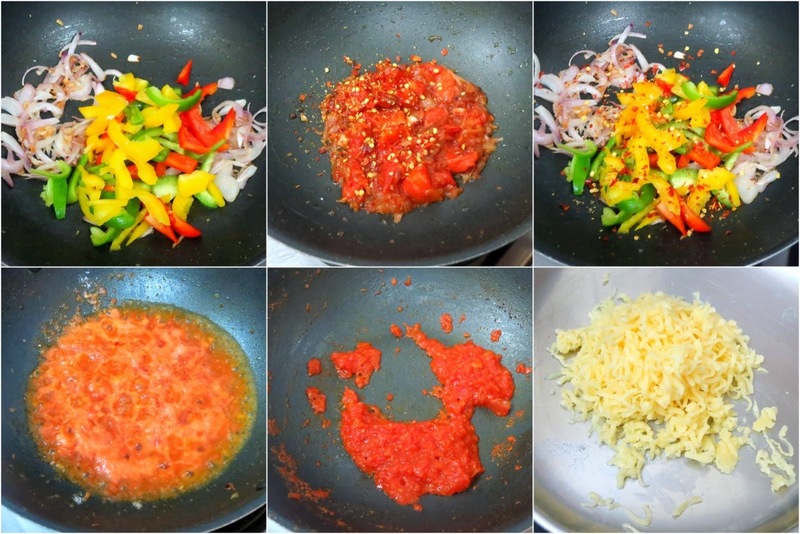 I had all the colours of bell peppers and wanted to use that as filling. Since I was so late in deciding and letting the dough rise for me to bake, before leaving for work, I was worried about how I will achieve baking the entire batch before leaving. Konda said that she knows the oven settings, having seen me doing it. I was so reluctant, yet I was bound by no other alternate ideas. I asked her couple of times to show me how she can set the time. Satisfied that she knows it well, I left for work. 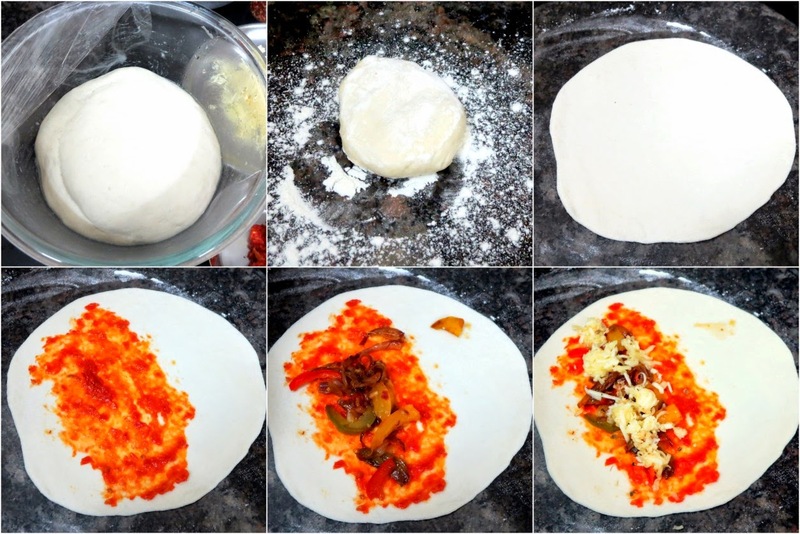 So you see, other than the first batch that I baked, rest of these calzones were baked by Konda, including clicking the pictures. She wanted me to tell her how I wanted to compose my pictures. I gave her everything and explained how I wanted it. I was so eager to know how she clicked and how it tasted when I came back home in the evening. Needless to say the calzones were extreme hit and the pictures turned out good. As I was thinking about what to make for the third day, I completely forgot about this when it appeared in the folder. This goes for my Kids Delight event, hosted by Sandhya themed on Snacking all the way. 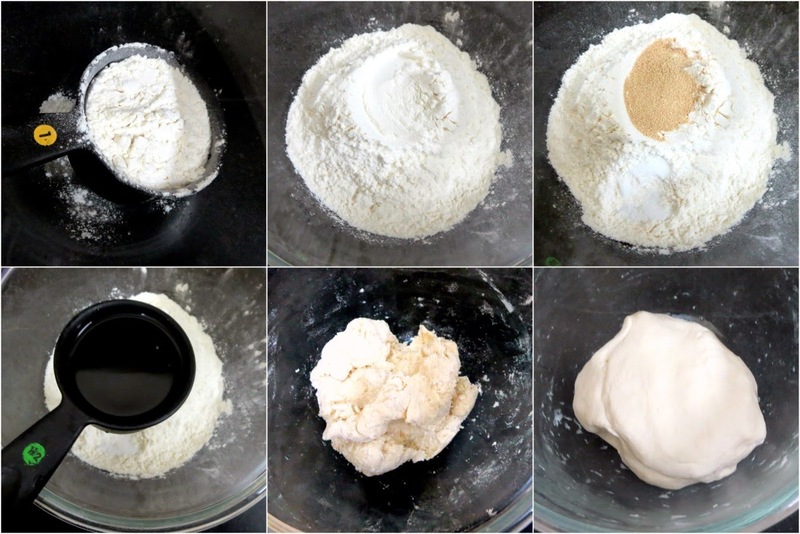 Take the flour, gluten, salt, yeast, sugar in a bowl, mix well, then slowly add the water and knead to a soft dough. Next add the olive oil and transfer to the counter and knead for 10 – 15 mins. Cover the bowl with cling wrap and keep it aside till it doubles. I mostly keep it in a pre heated oven and it rises within 30 mins. Else it can take upto an hour or so. Heat a non stick pan with olive oil, crush the garlic directly over it and saute well. Next add onion juliennes, saute till done, add salt and red chili flakes. Then add the bell peppers, simmer till soft. 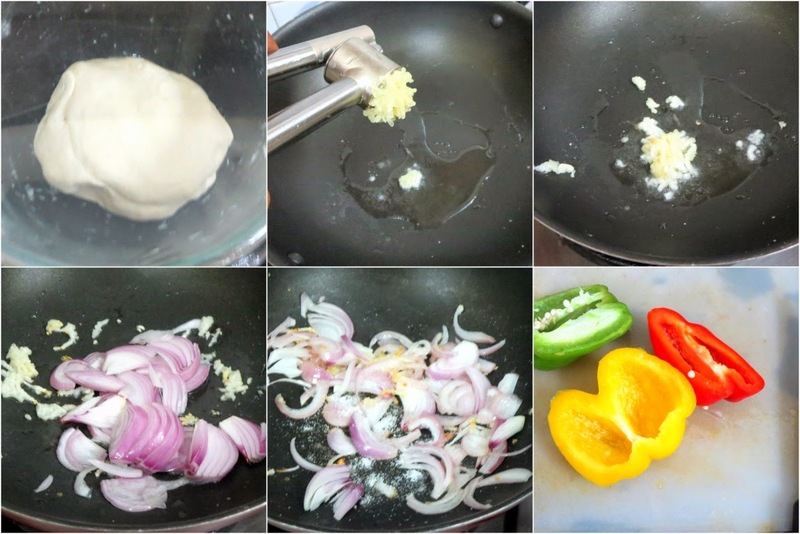 Meanwhile get the tomato base done by cooking the tomato puree in olive oil along with salt, flakes, herbs till it thickens. Once the dough rises, punch down softly and pinch out balls. Dust and roll out as discs. Leaving an inch gap from outside, spread the tomato bases, sauce and then add filling on top. Spread the grated cheese over it. This is spread only on the half circle. Now enclose the other half over this filling and tightly seal it well. Continue making the rest and let it rise again. Pre Heat the oven 190 C. Brush the calzones with milk and bake for 30 Mins. You can check by 25 mins to see if its done. Wow Valli Konda is a big girl now and your right hand, she has done a wonderful job, give her a big hug from me. 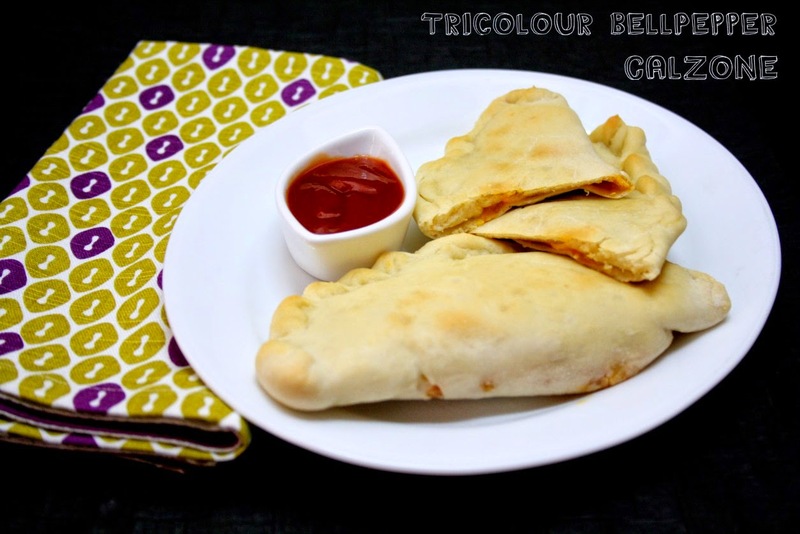 The calzones look yummy and so colorful! 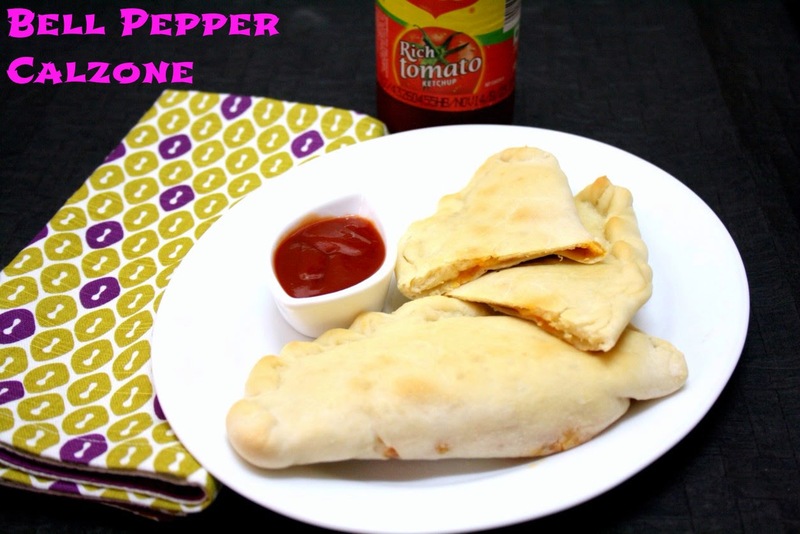 Calzones look yummy and I love the colorful stuffing, so delicious. She has done a great job with calzones. It must feel nice to have so much help in the kitchen. She did a great job. Great to have your daughter's help in the kitchen. The calzones turned out excellent. The filling looks very colorful.